Libya is a 7 million people country with a capitol city Tripoli (1,7m citizen). Libya has the 10th-largest proven oil reserves of any country in the world and the17th-highest petroleum production. Libya is another African country where You don’t need local presence, however If You like to purchase a domain with 4 or less character, a local presence is needed. 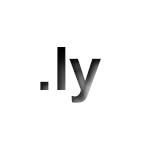 This country is open for people who want to register domains under .ly extension. Usually if You want to register a domain name you need to wait 2-3 days. One applicant can register unlimited amount of domains.